Our support team comprises of 200 dedicated staff and permanent contractors, working tirelessly behind the scenes to ensure that your expectations are met in each and every area of your FV Hospital stay. The Biomedical Engineering Department maintains and advises on all the hospital's medical equipment, working with manufacturers and suppliers to ensure that all equipment is maintained in optimum condition and with maximum availability in order to provide the best possible standards for diagnosis and treatment. The Engineering Department looks after the operation and maintenance of the many essential systems in our complex building (power, backup power, water, drainage, air conditioning, medical gas, lighting, fire safety and televisions etc). Their job is to make sure that the environment is safe and comfortable for all our patients, visitors and staff, appropriate for the operation of our sophisticated equipment and fully compliant with international safety standards. This department monitors system operations around the clock and provides FVH's Emergency Response Team. The Civil Works Department looks after the building interiors- layout, decoration, signage and furniture; and beyond them, the roads, interiors – layout; outbuildings. It also looks after the frequent new development projects, responding to our ever-increasing patient needs and numbers. We are proud of our modern hospital and its site - a team of full-time gardeners keeps the landscaping, grounds and internal flower arrangements looking at their best for patients, staff and residents alike. This department strives to provide you with the right quantities of wholesome and healthy food for your needs, not only presented well but also prepared hygienically. The team supports a number of different service areas and outlets, managing the careful preparation of food and drink for inpatients, day patients, visitors and staff. This Department works diligently to ensure the smooth running of the essential domestic functions of cleaning, laundry, linen management and waste management, ensuring that the hospital and its associated accommodation are kept clean, tidy and continually serviced. Linen and laundry - Any hospital uses a great deal of linen. The small but dedicated team care for all the linen and staff uniform requirements, in both the inpatient and the outpatient areas, ensuring a high quality and, of vital importance, hygienic laundry operation. Cleaning and waste management - Pan Pacific, our outsourced cleaning partner provides specially trained teams around the clock, every day of the year. These teams work in all areas and are a key part of our infection control policy which is of international standard. Our partner works to ensure that all areas of the hospital are kept clean, hygienic and free from waste and rubbish. Environment - FV Hospital complies with international standards on waste control, laundry, monitoring and pest control. Your safety and security at FV Hospital are of paramount concern. We, therefore, have a permanent team of security guards who will assist you to follow our traffic, security and safety policies and also during any emergency or security incident. 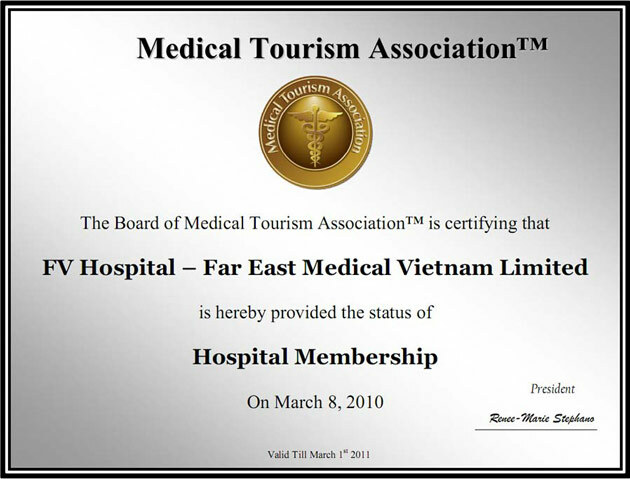 Of course, they also work to protect you and the hospital against the unlikely event of crime or other potential damage, although Vietnam is seen as a very safe country. Our team of drivers ensures that the FVH shuttle bus runs safely, on time and for your convenience between our city centre bus stop (Saigon FV Clinic at 45 Vo Thi Sau Street in District 1) and the hospital. They also make sure that external test and other results as well as correspondence are delivered and collected quickly and efficiently to support our operation. The shuttle bus tours are non-stop, free of charge and runs according to fixed schedule. View schedule here.